The band of the Milky Way stretches nicely across this pre-dawn fisheye view. The noticeable round dot in the Milky Way is the bright planet Jupiter. 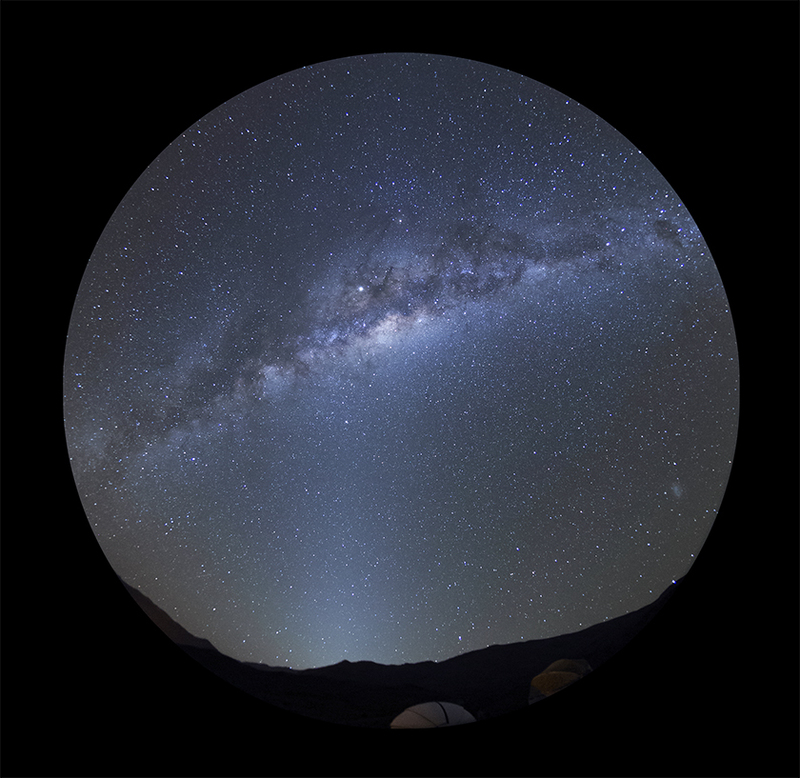 The light pillar extending from the horizon toward the Milky Way is the zodiacal light. And what appears to be a smudge on the bottom right hand of the image, is in fact the Small Magellanic Cloud (SMC), an irregular dwarf galaxy that can be seen with the naked eye under dark skies in the Southern Hemisphere. Copyright © 2019 Elkes Blog.